CONTRACT FELL THROUGH! Just renovated with new kitchen and new floors! Sunny, quiet 1 BR, 1 bath condo with balcony on 9th floor of 15-floor building. 180-degree view of DC and Northern Virginia (Washington Monument, Capitol, National Cathedral, Air Force Memorial). Beautiful pool and 24-hour gym!! Fort Ward Park is across the street, with paved walking trail, picnic areas, and a playground. If you have a dog, this is the place to be! Lots of storage. 1 minute to 395 (King Street exit). Walk to Starbucks, Fresh Market, McDonald's, etc., at Bradlee Center. 10-15 minute drive to DC, Old Town. Bus stop in front of building gets you to the Pentagon (and Blue and Yellow Lines) in 15 minutes. Amenities: Recently updated 24-hour gym with new equipment, gorgeous pool, A/C, breakfast bar, dishwasher, disposal, microwave, walk-in closet, 15 feet from laundry and elevator (easy move-in/out! ), pets OK. You will love it at Park Place! SchoolsClick map icons below to view information for schools near 2500 Van Dorn St #909 Alexandria, VA 22302. Home for sale at 2500 Van Dorn St #909 Alexandria, VA 22302. 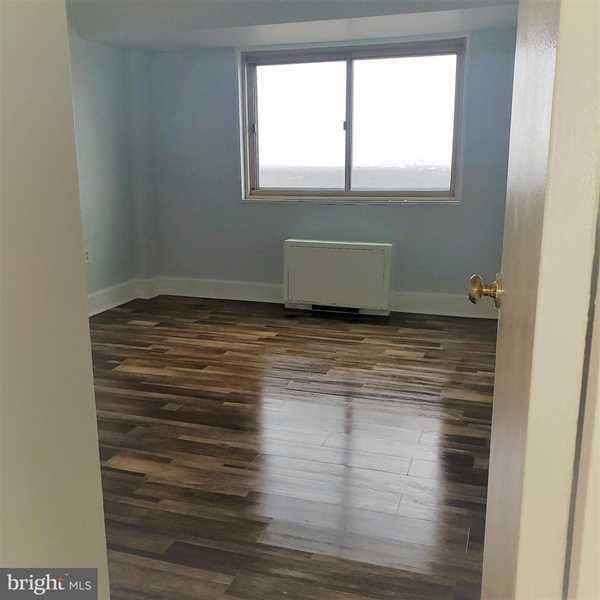 Description: The home at 2500 Van Dorn St #909 Alexandria, VA 22302 with the MLS Number VAAX218322 is currently listed at $153,000 and has been on the Alexandria market for 67 days. You are viewing the MLS property details of the home for sale at 2500 Van Dorn St #909 Alexandria, VA 22302, which is located in the Park Place subdivision, includes 1 bedrooms and 1 bathrooms, and has approximately 567 sq.ft. of living area.